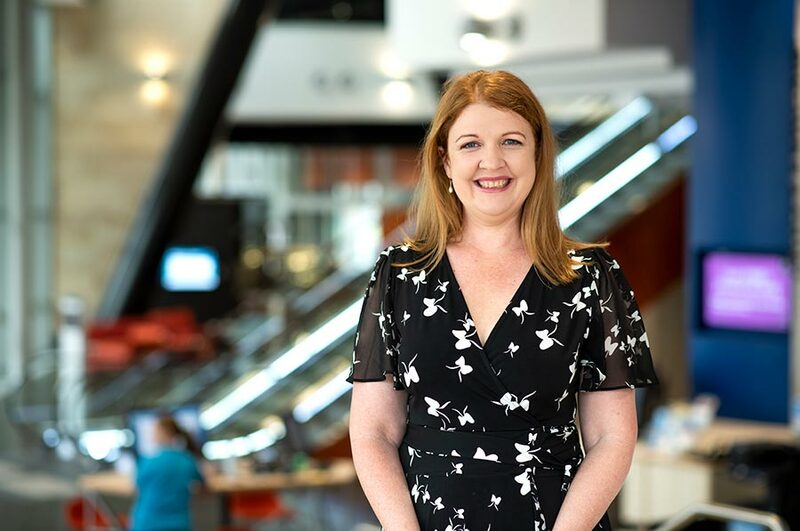 An accomplished teacher turned researcher, Associate Professor Kylie Shaw is focused on what doctorate holders can bring to industry and how people at that elite level develop and learn. It’s been a busy few years for Associate Professor Kylie Shaw since she stepped into the academic world from the classroom. The established mid career researcher currently has six research projects underway all with a focus on high level learning and its impacts within the workforce; and on future focused learning. Associate Professor Shaw began her career as a primary school teacher, before becoming a coordinator of academic programs at her independent school. She completed her PhD part time while teaching and looked at how students at university engaged with honours degrees. “While I was doing my undergraduate degree I was fascinated by students who never wanted to leave university so I got really interested in why people want to do research. This led me to my own PhD studies,’ she said. “Honours-level research programs across Australia are very different, so I did an analysis of that, then looked at honours across one institution and came up with a notion of research preparedness, asking what is it that encapsulates students’ preparedness to begin higher research studies, and what the learning journey looks like in different disciplines,” Associate Professor Shaw said. From there she applied for a role at the University of Newcastle. In this role, part of her current focus is on how being doctoral can influence the education profession to reconceptulise learning for children. “When I was working in schools and I was doing my PhD I talked to the kids about it and why I was doing it, and how it made knowledge uncertain. I think that helped the children see that school is not just about learning information, because information can change. It’s like the solar system and when we found out Pluto wasn’t a ‘real’ planet. It was someone learning at that high level that discovered that and transformed knowledge as we knew it. Knowledge isn’t absolute, particularly now in our ever-changing technological world,” Associate Professor Shaw concluded. 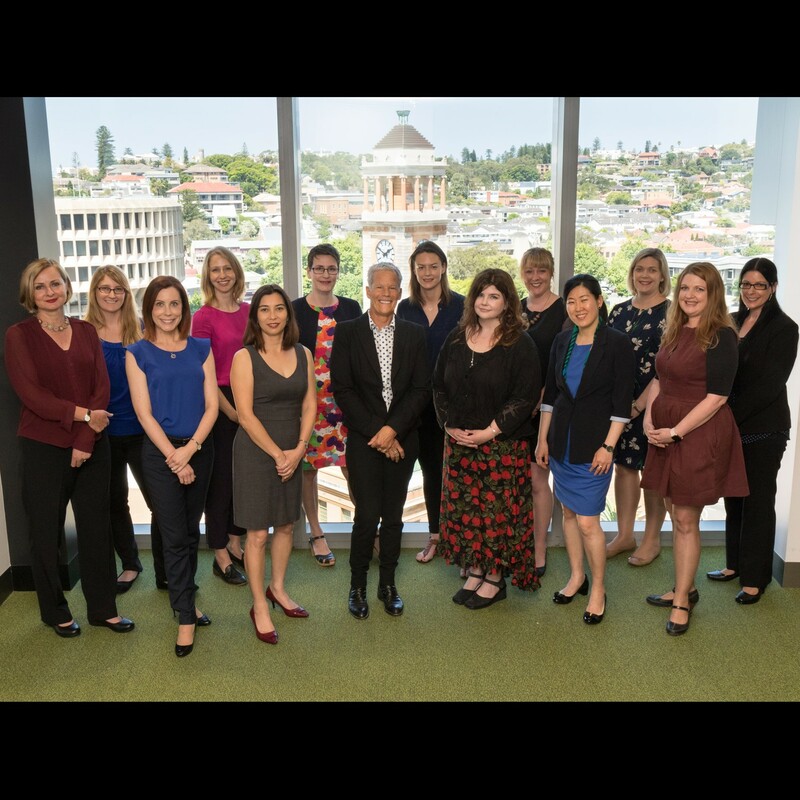 In 2017 Kylie was awarded a Women in Research Fellowship by the University of Newcastle which funded a research project that involves working with teachers who are doing PhDs. Associate Professor Shaw says there is a lot more emphasis on teacher learning and professional development presently and so is looking at whether engaging in higher level learning enriches learning for teachers and how that impacts on their student’s learning. Associate Professor Shaw is passionate about proving just how much high level learners, such as those with a PhD, can contribute to the workforce. She’s adding to the national debate on this topic through a variety of research projects that focus on doctoral learners and what they have to contribute to industry. Associate Professor Shaw says there’s not a lot known about what value is added when people engage in high level learning, particularly in professions which revolve around newer disciplines such as teaching, nursing and the health sciences. “One area I am especially passionate about is trying to establish how much high level learners can add to the profession, in terms of the way they work, their policy and social entrepreneurism, and how they push the profession forward. They’re creating new knowledge in the work they do in their doctorate so I’m interested in whether or not they see the world differently and can help to then push forward the profession as well,” Associate Professor Shaw said. Associate Professor Shaw is working with colleagues in SORTI (The Centre for the Study of Research Training & Innovation) on an Australian Research Council funded project called Excellent researchers: using learner profiles to enhance research learning which aims to build a picture of what learners are like at the doctoral level. She says generally people conceive PhD students as already at the level they need to be to complete a doctorate, but what this research is finding is that there are different types of learners doing doctorates and many are still developing as doctoral learners. “For this multi-faceted study, we’ve developed a program called DocLearn which helps students understand themselves as learners. Using an online portal, students do a survey and through this we build an individualised learning profile for each student which the students can then explore and learn from,” Associate Professor Shaw said. To build this profile, the survey looks at whether students see knowledge as complex or simple, how they draw on coping strategies, how they solve problems within their projects, what are their motivations and what strategies they use as learners. At the end of their doctorate the students will be surveyed again to see if any changes have occurred in the intervening years. “This process will show how they’ve developed as learners, whether their expectations at the start have been met and what their experience has been like,” Associate Professor Shaw said. The results of this project will be released in 2020 with the aim of being translated into practice in the industry. “In a previous project I worked with teachers on how to design innovative and authentic learning activities at school so they can help students to show what they can do in terms of knowledge construction, collaboration, communication and self regulation - all of those 21st century skills,’ Shaw commented. Associate Professor Shaw’s examination of doctoral students extends to another research project through the University of Newcastle’s equity group looking at enablers and barriers to an equitable higher degree by research learning environment. Traditionally doctoral education candidates are as seen as an elite group of people, however Associate Professor Shaw says undergraduate education is becoming more accessible with diverse pathways for people from differing backgrounds to access university education and then go onto higher level learning. This study also uses the doctoral Journey Tracking plot to follow the highs and lows of their researcher journey but for this study, also their perceptions of support. The outcomes of this research will translate into recommendations to be made to the deans and directors of graduate research education around Australia, with the aim of improving the support for students from equity backgrounds. Dr Kylie Shaw is a Senior Lecturer in the School of Education, coordinating courses and lecturing in the areas of primary education, literacy, educational foundations and ICT. She is currently the Deputy Head of School (Research & Research Training), and is the NSW respresentative of CADRE (Council of Associate Deans of Research Education). She has previously held the leadership roles of Program Convenor for the Bachelor of Primary (Honours) program and Convenor of the Bachelor of Teaching (Primary)/Bachelor of Arts program. As the Director of Student Experience within the School of Education, she initiated the NuTeach program, which aims to introduce pre-service teachers to the profession early in their teaching degree and then provide support once they graduate and commence their teaching career. She is currently a Chief Investigator on a research project sponsored by the NSW Department of Education ‘Thinking while moving in English’, which encourages primary aged students to move whilst learning to increase engagement and focus in class. Dr Shaw is an established mid career researcher, building expertise in the area of research training and doctoral education. She is the Deputy Director of the Centre of the Study of Research Training and Impact (SORTI), which is known internationally for its work on doctoral learning and doctoral assessment. In 2017, Shaw chaired the organising committee for the inaugral Doctoral Education, Assessment & Learning (DEAL) conference. She is a Chief Investigator on a current ARC Discovery Project investigating excellent researchers. In her doctoral work she developed a method of tracking the journeys of students involved in cross-disciplinary research and a construct of research preparedness. She has also been the lead Chief Investigator on grants in affiliation with the Centre of Excellence for Equity in Higher Education (CEEHE), exploring the increasingly diverse cohorts of students undertaking doctoral study. Though full time at the university, Kylie still continues to work as an accredited teacher in schools to keep her professional practice current. She completed her PhD part-time whilst working full time as a teacher, and administrative leader, in the independent school sector. She was a Chief Investigator on a global research project on innovative teaching and is consulting to schools in the areas of future-focused learning, critical & crearive thinking, literacy and assessment. Dr Kylie Shaw gained international recognition as Chief Investigator on a global project investigating Innovative Teaching and Learning in schools. The project was sponsored by Microsoft and The Department of Education and Communities (DEC). She worked with the Stanford Research Institute (SRI) in San Francisco, developing the dimensions to measure innovative learning activities and student work in schools. She also developed and presented workshops to teachers in Australian schools on developing innovative teaching and learning experiences for 21st century learning. She was an invited participant in the Global Forum on Innovative Teaching and Learning in Washington and has been engaged with consultation for Microsoft and Pearaon International. Dr Kylie Shaw's doctoral studies explored student experience in fourth year undergraduate research programs across a range of disciplines and how prepared students were to continue to further research study. She developed a construct called 'Research Preparedness', which has been published in a leading international journal, and is currently working on a grant to further explore this construct with beginning researchers in undergraduate and in research Masters programs. She has an interest in mixed methodologies, and developed a novel approach to measuring and comparing student research journeys, called the research plot. Dr Kylie Shaw has presented papers at the Quality in Postgraduate Research (QPR), Australian Association for Research in Education (AARE) and Higher Education Research and Development (HERD) conferences in Australia and has presented her work internationally at the European Association for Research on Learning and Instruction (EARLI) and the American Educational Research Association (AERA) conferences. In 2008, Kylie was awarded the Faculty of Education and Arts Research Publications Prize for the most outstanding publication. In 2010, she was awarded the NSWIeR Beth Southwell Prize for Most Outstanding Thesis. She has been the Convenor of the Doctoral Education Research Special Interest Group (DERSIG) with the Australian Association for Research in Education (AARE) and is a reviewer for the Studies in Higher Education (SiHE) and Australian Educational Research (AER) journals. Dr Kylie Shaw predominantly works in the areas of Primary Education and Educational Psychology. She has taught in the following courses in the School of Education: Becoming a Teacher, K-6 English, Human Society and its Environment, Learners and the Learning Process, Teacher Research Projects and Introduction to Research Methodology. She has also worked with the Centre for Teaching and Learning, in the area of Course Design. Dr Kylie Shaw has experience in coordinating and developing courses, within both university and school environments. In particular she has experience in curriculum development and developing protocols to evaluate programs. She is a Chair of accreditation committees for Primary Education with NESA and AITSL. Before joining the School, Kylie worked in the independent school system, and has held the leadership roles of Stage 3 Coordinator, Academic Coordinator of Years 5-8 and Coordinator of Learning Support. She has taught in all Key Learning Areas, from Kindergarten to Year 8, with areas of expertise in English, Humanities and Information Literacy. Previously Kylie held the position of Head of International House at the University of Newcastle, a residential College bringing together the cultural experiences of students from over 30 different countries. She has a keen interest in supporting international students and has taught English as a Foreign Language in Thailand. In her role at International House, Kylie developed community programs such as International Student School Visit Day, where international students visited a number of local schools and taught the children lessons about their home country.